Francesco’s Italian Ristorante and Stone Fire Pizza opened in March of 2014 as a collaboration of partners Paul D’Alto from Pomodoro Cafe in Gainesville, Florida and Kathy Funk from Pasta Faire in Belleview, Florida along with their new managing partner Francesco Esposito. 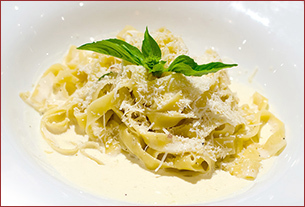 “Francesco’s” is an elegant, but casual Italian Ristorante. The menu by New Head Chef Noel Bravo and Partner Franco Esposito features authentic Italian dishes, homemade pastas, scratch made sauces and soups as well as stone and wood fired gourmet pizzas. The dining rooms have been updated as well with beautiful new booths, wall-to-wall carpet, rustic Italian decor and our new Garden Room. The Garden Room is a great place to bring your large group, business seminars, birthdays, anniversaries, etc. Capable of holding up to 80 guests, the Garden Room is fully air-conditioned and heated with a beautiful fireplace, and is adorned with Italian tapestries and photography, carpet, comfortable tables and chairs. 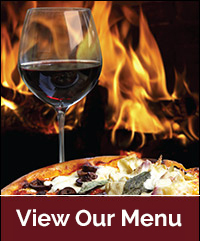 So, come visit the NEW Francesco’s and enjoy great food, service and value.